View this article on Book of Mormon Central. 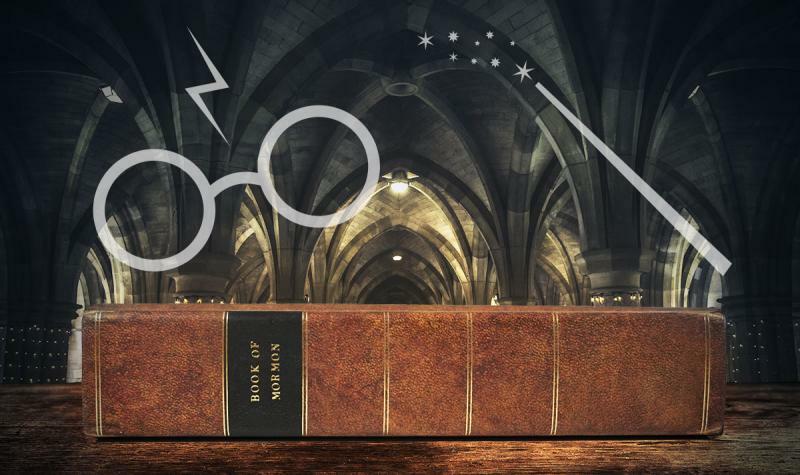 Easily some of the most beloved and popular books in recent memory, the Harry Potter series by J. K. Rowling has charmed and captivated millions of fans around the world. English-speaking readers of the series, however, may take for granted the intense and sometimes frustrating task of translating the series into other languages. As the following video explains, the presence of English alliteration, puns, invented words, and cultural references peppered throughout the series posed a serious obstacle to translation into other languages. As the video explains, some translators took considerable liberties in adapting the the Harry Potter books into the target language to better communicate the underlying meaning while others stayed fairly close to Rowling’s English. In some instances, character names were modified to capture the clever or subtle meaning packed into Rowling’s original names at the expense of preserving elements only detectable in English. In other cases, Rowling’s invented words were retained in English and set off by italics. Translators also adapted cultural references into new ones that better suit the readers. Dumbledore’s favorite candy Sherbert lemons–––which are popular in Great Britain–––thus became the chocolate-covered marshmallow treat Krembo in Israel. But what does any of this have to do with the Book of Mormon? As Joseph Smith affirmed throughout his life and ministry, the Book of Mormon is an inspired translation of an ancient record.1 Joseph did not accomplish this translation by ordinary scholarly means, but through the gift and power of God. 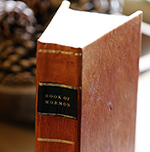 While members of The Church of Jesus Christ of Latter-day Saints affirm the Book of Mormon is a translation of an ancient record, several questions remain as to what kind of translation is the English text of the Nephite record. Is it a “literal” translation that sticks closely to the underlying text composed by the ancient Nephite prophets? Or does it include English-level adaptations by Joseph Smith, making it more of a “loose” translation? Or is it somewhere in-between? Book of Mormon scholars such as Royal Skousen and Brant Gardner, to name just two, have offered varying answers to this question based on many different strands of evidence.2 On the one hand, the presence of poetic parallelisms, word-level consistency, and distinctly separate authorship styles, provide evidence that some parts of the translation may have been quite literal. The presence of Early Modern English language likewise makes attributing authorship to Joseph Smith problematic. On the other hand, quotations of King James Bible passages as well as nineteenth century Christianized language (such as “Bible,” “church,” “apostle,” “Christ,” and so forth) hints that the translation, at least on some level, was likely adapted by Joseph Smith for a modern Christian audience. And what about names in the Book of Mormon? Some of the names found among the Jaredites include Israelite names such as Aaron and Levi (Ether 1:15–16, 20–21; 10:14–15, 31). But the Jaredites departed the Old World long before the children of Israel entered the historical scene. Whence these biblical names? Since the Book of Ether is Joseph Smith’s translation of Moroni’s abridgement of Mosiah’s translation of Ether’s abridgement of Jaredite oral and written sources, there is a real possibility that these names are the result of Mosiah’s translation, or Moroni’s abridgement of Mosiah’s translation, or Joseph Smith’s translation of Moroni’s abridgement of Mosiah’s translation of the Jaredite records! If the Book of Mormon is in fact a translation, as Latter-day Saints believe, then we should be sensitive to the fact that the same challenges which confront translators of the Bible or the Harry Potter series also confronted Joseph Smith. Otherwise, what do we do with the presence of non-translated words in the Book of Mormon such as ziff and, famously, the Jaredite animals cureloms and cumoms (Mosiah 11:3, 8; Ether 9:19)? Or with seemingly-anachronistic cultural and linguistic elements? If we assume divine translation entails an infallible and perfectly precise rendering of one language into another all the time and in all circumstances, then why does the Book of Mormon contain such? The questions about the nature of the translation of the Book of Mormon raised above are certainly worth keeping in mind, but ultimately the best way to read the Book of Mormon is not to fret over currently-unanswerable questions about the translation, but to focus on its message of Jesus Christ and His gospel, knowing all the while that every sincere man and woman regardless of what language they read the book in can gain a testimony of its truthfulness through the gentle whisperings of the Spirit (Moroni 10:4–5). 1.See the overview in “Book of Mormon Translation,” Gospel Topics Essays, online at www.lds.org. 2.The work of Skousen and Gardner can be accessed for free on the Book of Mormon Central archive. See also Brant A. Gardner, The Gift and Power: Translating the Book of Mormon (Salt Lake City, UT: Greg Kofford Books, 2011); Royal Skousen, “The Language of the Original Text of the Book of Mormon,” BYU Studies Quarterly 57, no. 3 (2018): 81–110. 3.See for instance the discussion in Edward R. Hope, “Animals in the Old Testament – Anybody’s Guess?” The Bible Translator 42, no. 1 (January 1991): 128–132. 4.Inge Kleivan, “‘Lamb of God’ = ‘Seal of God’: Some Semantic Problems in Translating the Animal Names of the New Testament into Greenlandic,” in Papers from the Fourth Scandinavian Conference of Linguistics, Hindsgavl, January 6-8, 1978, ed. Kirsten Gregersen (Odense: Odense University Press, 1978), 339–344. 5.Gardner, The Gift and Power, 235–239. 6.See Robert Alter, The Art of Biblical Translation (Princeton: Princeton University Press, 2019). 7.Brigham Young, “The Kingdom of God,” Journal of Discourses (July 13, 1862): 311. I know without doubt that the content of the Book of Mormon was translated by the gift and power of God. What that means to me is that God, before whom all is present (meaning ALL past, EVERYTHING present and ALL future events, needs and eventualities are simultaneously available to an Eternal Being working with us in a temporal existence) tailored the content "to the convincing of the Jew and Gentile that Jesus is the Christ". No mortal being could even imagine producing a document that would be relevant to a woman reading it in the 1870s and a young man reading it in the 2020s where the Holy Ghost could employ it to enter the heart and mind of all to testify of the Father and the Son. A New York frontier young man in the late 1820s of meager education, of himself. could not concoct, copy or assemble anything as enduring and effective as what is contained in the Book of Mormon in whatever language it is presented. What is contained in the Book of Mormon is what Jesus Christ wants and what the Holy Ghost employs to bring about its purpose.